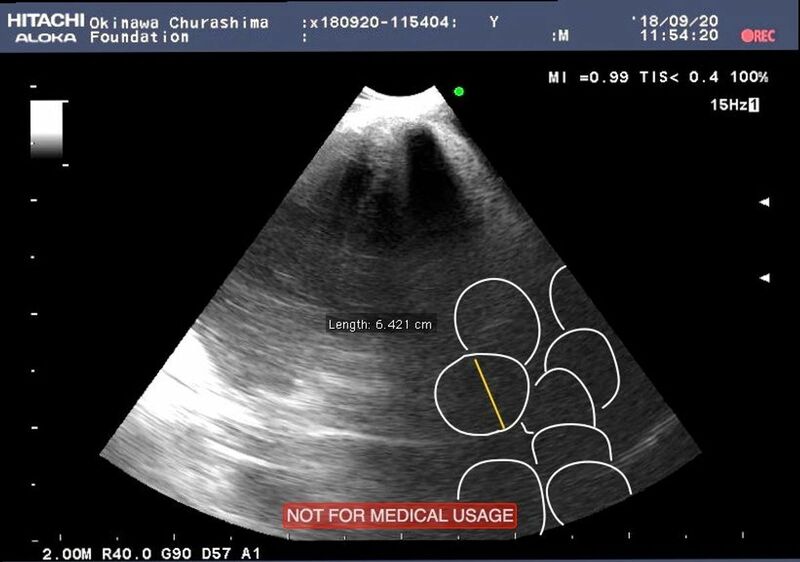 Scuba diving alongside the fish, scientists used ultrasound equipment to image females’ reproductive organs. 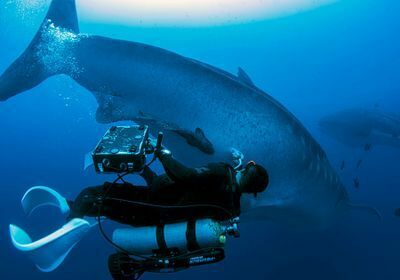 ABOVE: A scientist performs an ultrasound on a female whale shark (Rhincodon typus). 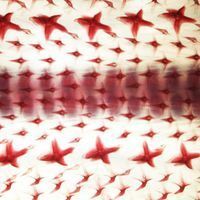 Not much is known about whale shark reproduction. 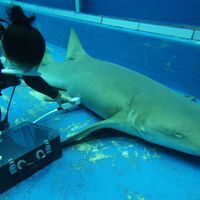 So, in September, an international team of scientists and conservationists donned scuba gear and swam alongside the giant fish to take ultrasound images, revealing ovaries and developing follicles in the females. The feat wasn’t as simple as it sounds. 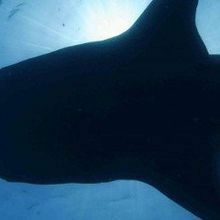 The ultrasound equipment had to be sealed in a waterproof case, and the scuba-diving scientists had to wear jet-propulsion packs to keep up with the whale sharks. In the end, the team wasn’t able to capture any images of pregnant females, probably because this bunch was on its way to breed with males farther offshore. 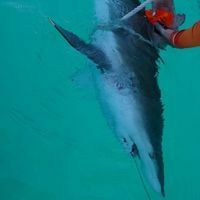 Still, the team tagged the sharks with GPS monitors and plans to track them over the coming months with the possibility of performing additional underwater ultrasounds to assess if they are pregnant or not.